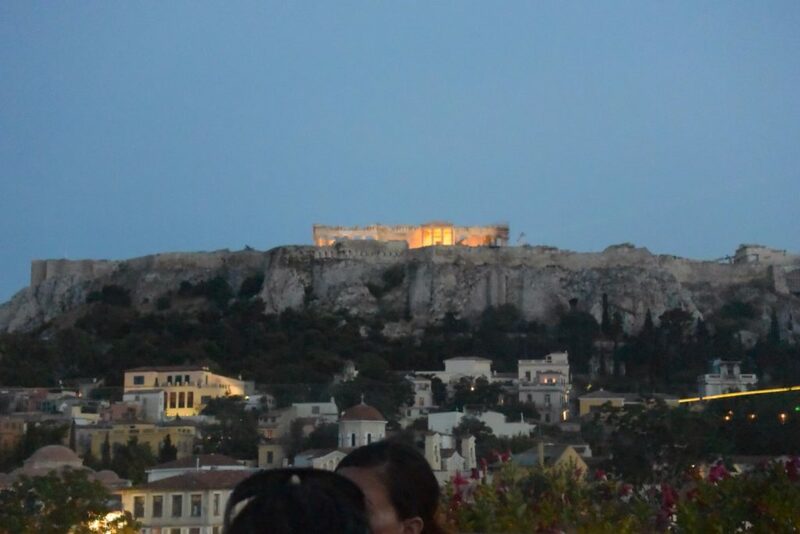 Today’s blog comes from Mackenzie Roach who is attending LEAD Greece! While the program is almost finished, her blog picks up just as we were heading to Santorini! Thanks Athens and Glyfada for the best 2 weeks of my life (so far)!! This morning we left for Santorini, and I didn’t think I was going to be so sad and nostalgic about leaving Athens, but I was. I am going to miss talking to locals on the 50-minute tram ride into Athens. I’m going to miss the being able to walk just 100 yards to Miller’s to get a Cappuccino Freddo and a croissant at any hour. I am going to miss all 41 of us working together at the Salvation Army. I think what makes me feel most sad, is realizing my Greece adventure with Lead Abroad is almost halfway over. Thanks to everyone on the trip for being so awesome and full of joy and insight, I can’t wait to see what Santorini brings us! !